During my morning check I saw no activity from (I'll call it my Mexican hive, after the source) so I just completed a thorough investigation and found only a couple hundred bees still alive, no brood and no queen. So it looks as though they killed her upon installation. 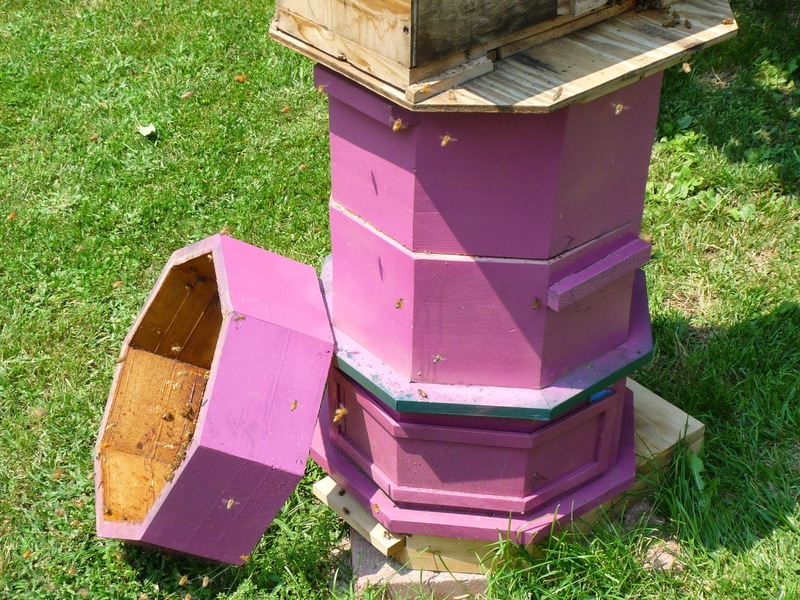 If there had been more bees, I would have taken some eggs from my Nuc hive and transplanted them, but, short of bees, I decided to move the hive over to the nuc hive and place it on the bottom. I was going to harvest some honey from the Nuc hive but when I pulled the outside-most frame I found that the frame itself was full of capped honey, but because it was a frame for a super, it was short of the bottom and they had filled it in with comb and it was solid with capped brood, hardly a cell open. Will have to watch and make sure they don't leave like last years colonies. With the addition of 2 8" boxes at the bottom, I'm hoping all will be well with them. This is the hive that had to make a new queen and today is the day the new fliers are to come out.